This major new reference work offers a complete historical and theoretically informed view of Islam as both a religion and a sociocultural force. 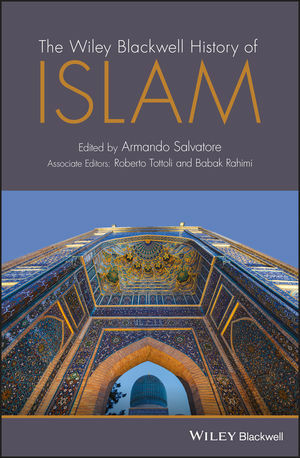 Uniquely comprehensive, it surveys and discusses the transformation of Muslim societies in different eras and various regions, providing a broad narrative of the historical development of Islamic civilization. This text explores the complex and varied history of the religion and its traditions. It provides an in-depth study of the diverse ways through which the religious dimension at the core of Islamic traditions has led to a distinctive type of civilizational process in history. The book illuminates the ways in which various historical forces have converged and crystallized in institutional forms at a variety of levels, embracing social, religious, legal, political, cultural, and civic dimensions. Together, the team of internationally renowned scholars move from the genesis of a new social order in 7th-century Arabia, right up to the rise of revolutionary Islamist currents in the 20th century and the varied ways in which Islam has grown and continues to pervade daily life in the Middle East and beyond. This book is essential reading for students and academics in a wide range of fields, including sociology, history, law, and political science. It will also appeal to general readers with an interest in the history of one of the world’s great religions. ARMANDO SALVATORE is the Keenan Chair in Interfaith Studies and a Professor of Global Religious Studies (Society and Politics) at the School of Religious Studies, McGill University. ROBERTO TOTTOLI is a Professor of Islamic Studies at the Department of Asian, African, and Mediterranean Studies, University of Naples "L'Orientale." BABAK RAHIMI is an Associate Professor of Communication, Culture, and Religion at the Department of Literature, University of California, San Diego.